For all of the many wonderful things that can be said about vinyl siding, the fact is that it’s not a material designed to last forever. Nor is it indestructible. With proper care and maintenance, however, vinyl siding in Culpeper has the potential last anywhere from 20 to 40 years or longer. If your goal is make the siding on your Culpeper home last as long as possible, keep reading. Before we get to our advice, we want to remind you that siding on Culpeper homes is more likely to last if it’s installed correctly in the first place. 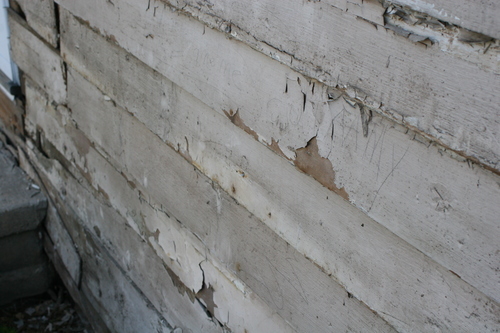 This is because improper installation can make your siding more susceptible to the potential problems discussed below. Now, let’s get to the list – and our recommendations for how to avoid these common siding problems. Once again, it’s wood structures below vinyl siding in Culpeper that can create issues with moisture exposure, accumulation, and damage. If wood support structures become moist or damp, vinyl panels can warp or buckle. This problem can be avoided with a waterproof membrane below the siding and on your home’s exterior. Also, siding needs to have proper airflow to minimize issues with moisture. Yes, vinyl is an appealing siding material because it requires very little maintenance. But this doesn’t mean you shouldn’t occasionally check for things like sealant cracks, exposed nails, loose panels, and minor imperfections. Such problems are often easily correctable when detected early. As a general rule, it’s best to visually inspect your siding when each season changes. If you’re like most people, your roof is usually something that’s out of sight, out of mind – at least until there’s an obvious problem. However, a roof with missing or damaged shingles could be one that’s diverted water below your shingles and over your underlayment. Eventually, this H2O could affect your vinyl siding in Culpeper. 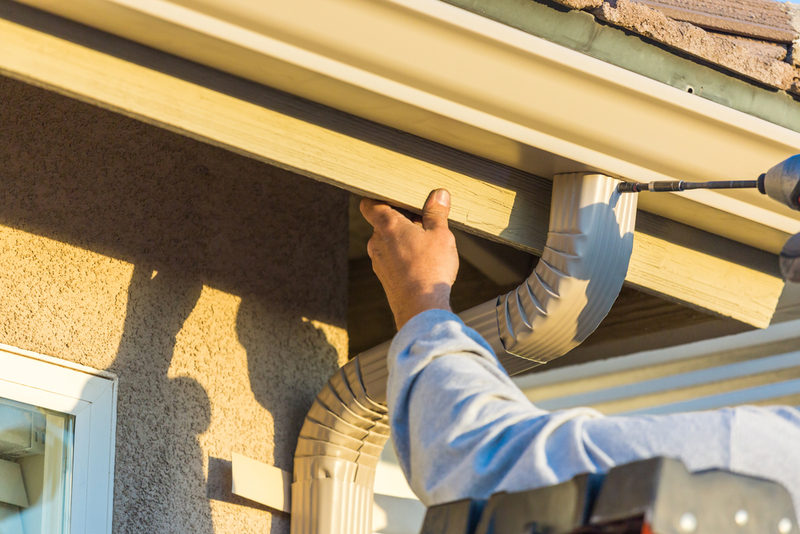 On a related note, problems with your gutter system could also send water cascading directly down along your siding. The solution here is to have your roof inspected on a regular basis for signs of roof, shingle, and gutter issues, especially after a severe storm. Vinyl usually stands up to Mother Nature fairly well. Yet even a material as durable as vinyl can be affected by hail damage, high winds, and severe storms. Be aware that storm-related damage isn’t always obvious. For instance, high winds may loosen certain panels enough to create an opening for moisture. If you do experience a severe storm, err on the side of caution and have your siding inspected. The same ultraviolet light that can affect your skin that can also diminish the appearance of vinyl panels over time. Sun exposure can also contribute to cracking, which means you may have related water damage to deal with. There’s nothing you can do about the sun. However, if you have one side of your home that’s highly exposed, you might want to consider strategically planting some trees to create natural shade. Finally, pay attention to any unusual sounds you may be hearing. Vinyl siding in Culpeper shouldn’t be “talking” to you. 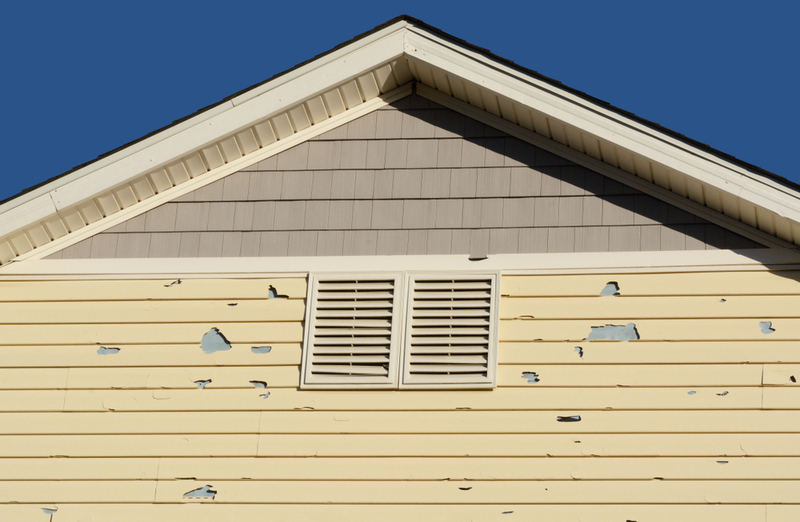 If you hear some odd noises, it’s usually because siding was installed too tightly. If this is the case, your vinyl panels won’t have room to expand and contract as temperatures and seasons change. When siding in Culpeper needs replaced, the Culpeper Windows and Siding team is here to lend a hand. Contact us today to explore your options with new or replacement vinyl siding.